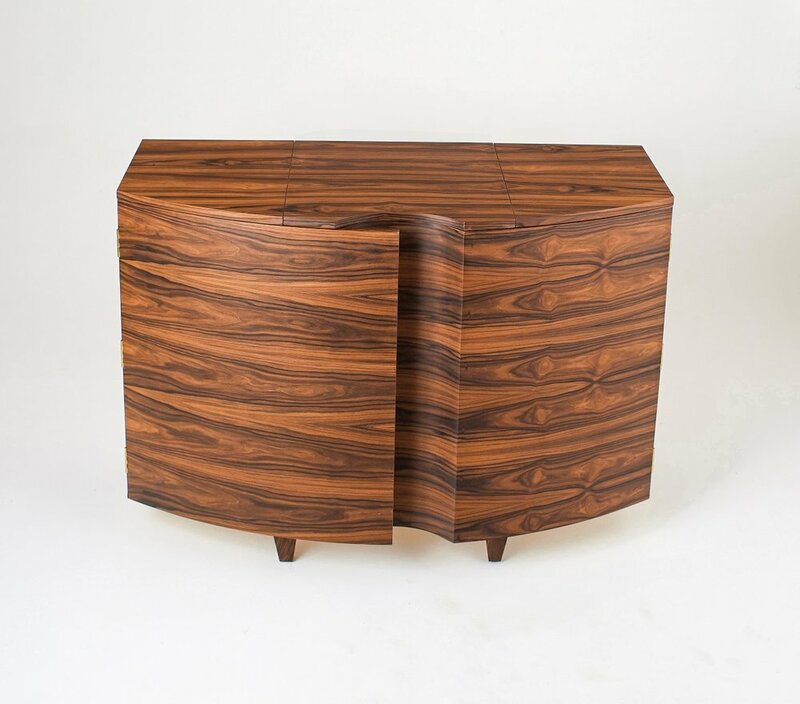 The latest addition to the Swirl range is this beautiful made-to-order record player cabinet. Slightly larger in size, with signature curved overlapping curved doors this unit integrates a lift-up top with solid brass stays to allow perfect home for concealed record player. Inside layout can be configured to suit storage requirements. Materials: Santos rosewood veneer, maple veneer, solid brass.